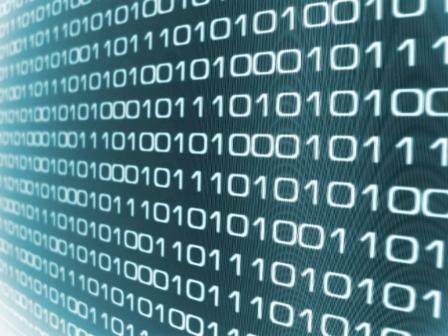 You perform IT audits to obtain assurance about the safety and reliability of your IT systems. Charm Control supports you in all phases of the audit process. Charm Control facilitates the audit process with structured assignment, composition, implementation, recording and reporting of your audits. The precise definition and scope of the audit is defined in the preliminary investigation. This leads to a description of the assignment that is presented to the client. All details will be filed in Charm Control. Support for all common IT standards. The definitions of COBIT, ISO27000, ISEA3402, SNBB and other standards can be imported easily. Overlap in standards can be indicated. 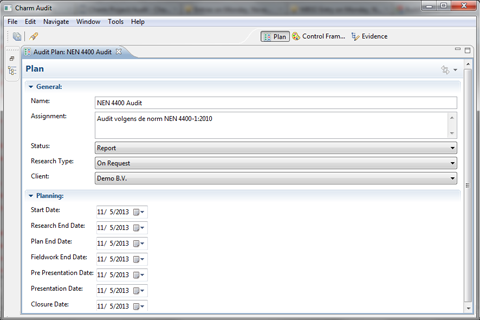 In the context of ISEA3402 audits the auditor can also define custom-made standards. The auditor underpins both conformity and non- conformity of a standard with evidence and findings. 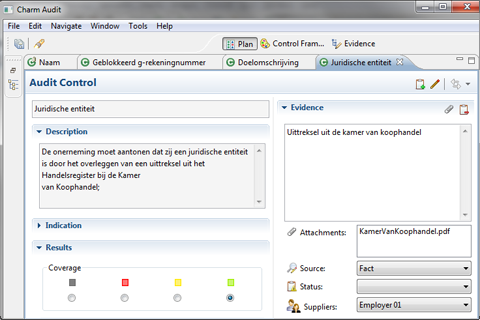 Charm Control supports many types of evidence and findings, which can be added free-format or categorized. This allows the auditor to justify now and afterwards its judgement. 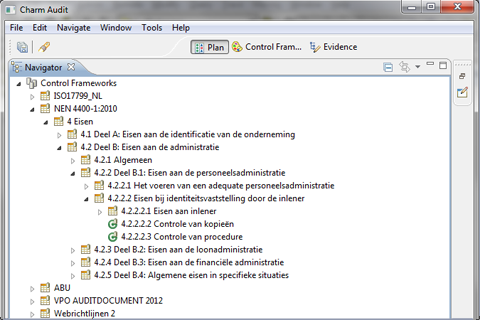 Reports are generated automatically from standards, evidence, findings and judgments. 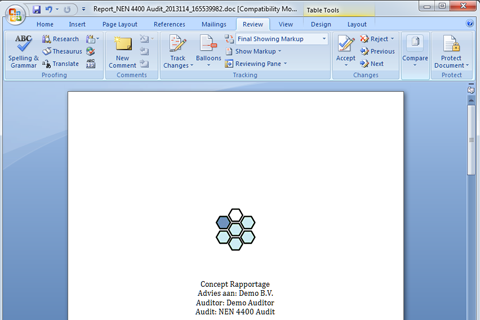 Using templates, one can define the content and format of the report oneself. A number of pre-defined templates are available.